How often should you be updating your website? Updating a website refers to the addition or modification of content as well as the actual design and layout of the website. Stale websites can quickly discourage web visitors and are one of the major reasons behind high bounce rates. A bounce occurs when a visitor quickly views the page that they have landed on and then decides to leave the site rather than exploring its other web pages. So, how often should you be updating your website? There aren’t any set expectations for how often a website should be updated. However it is suggested that you perform updates as frequently as possible in order to prevent your website from looking dated and losing your valuable web traffic. It is recommended that you try to update your website at least 1 to 2 times a month. These weekly or monthly updates should be designed for only adding or refreshing content unless the entire website’s design is fatigued. As long as you develop a site that is both visually appealing and easily accessible then your primary updates should focus solely on your content. When asked, most webmasters and search engine marketers agree that the more you update your content the more impact it will have on your Search Engine Optimization. Updating is especially helpful when it comes to blog content. Continuously adding new blog posts leads to more of your pages being indexed and draws in more visitors and potential customers. Updating provides your visitors with a visually appealing user experience. Updating your website establishes fresh and relevant content. Updating helps your website get indexed more often. Updating increases rank and influences other websites to link to your website. Link your website to your blog. In February 24, 2011 Google introduced its new method for evaluating the quality of a website. Google Panda or “The Panda Algorithm” affected a little under 12% of search results and drastically reduced page visitors for many websites. At first 12% may seem like a small percentage but when considering the size of internet the figure becomes fairly significant. Google released Panda 2.0 in April and followed with version 2.1 in May. According to Search Engine Land Google had also just recently released its newest version (Panda 2.2) sometime during June. 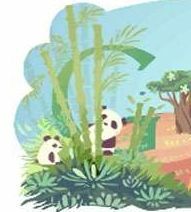 The Panda version 2.2 updates are thought to be the source behind the recent fluctuation in search listings and PageRank. Whether you experienced this change back in February or the new update is finally catching up with you, Google Panda seems to be impacting a tremendous number of websites and site owners across the Internet. Although it is commonly called the Panda Algorithm, Google Panda is more of an individual Ranking factor rather than an entire new algorithm. Google uses a number of different factors when assigning a rank to a website. 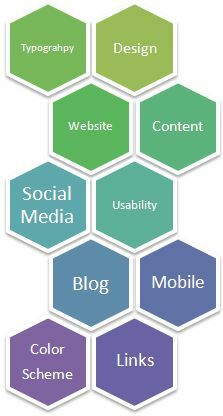 These factors are continually tweaked in order to provide the best user experience and return the most relevant search results. Search Engine Optimization (SEO) focuses on these evolving factors in an effort to increase site traffic and conversion rates. Although Google makes these adjustments to its ranking algorithm on a regular basis they usually go unnoticed or cause minor changes for most websites. However there have been a few major exceptions similar to the Google Panda update such as the Mayday Update of last year and the Vince Update in 2009. WordPress 3.2 is Available: Are you ready for the Upgrade? Prior to last year’s release of WordPress Version 3.1, WordPress announced that 3.1 would be the last version to support PHP 4 and MySQL 4. During the announcement WordPress stated that version 3.2 could be expected early 2011 and emphasized that it would require PHP 5.2.4+ and a minimum of MySQL 5.0.15. The reason for their early announcement was to provide users with plenty of time meet the future requirements. At that time, WordPress had over 45 million users and 11% of those users were still using PHP 4. Along with the new requirements for PHP and MySQL, they also decided to drop support for legacy browsers such as Internet Explorer 6. Users who access the software using an outdated or unsupported browser will now be notified by a new built in feature. WordPress 3.2 was released to the public last week, July 4, 2011. Focusing on a faster and lighter experience the WordPress 3.2 features a redesigned dashboard, Twenty-Eleven theme, admin bar, and a full screen editing mode. The new dashboard design removes the old administrator header and replaces it with the new and improved admin bar. The new admin bar now offers more options and links to important places within WordPress. In addition to the admin bar version 3.2 adds more drop down menus for easy navigation and a faster selection process. The redesigned dashboard provides a more seamless experience that can be fully customized. Another major feature with the 2011 release is the full screen distraction free text editor. With this feature users can focus completely on their writing and easily access hidden editor tools by hovering at the top of the editor. WordPress also adjusted and improved comment approval and reply options for a more streamlined conversation management. Are you ready to update?